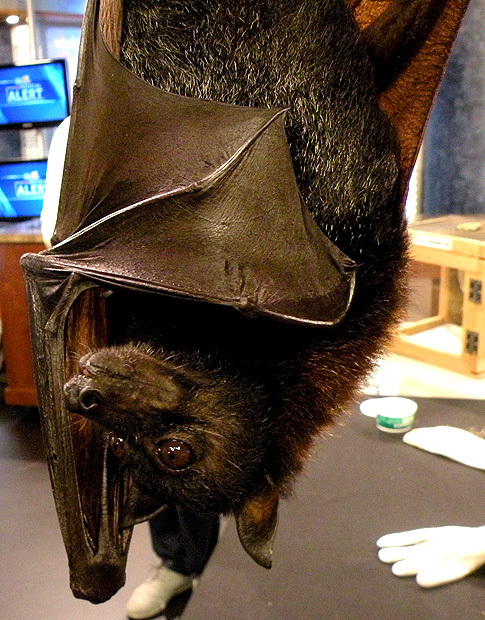 I Pet a Fruit Bat! 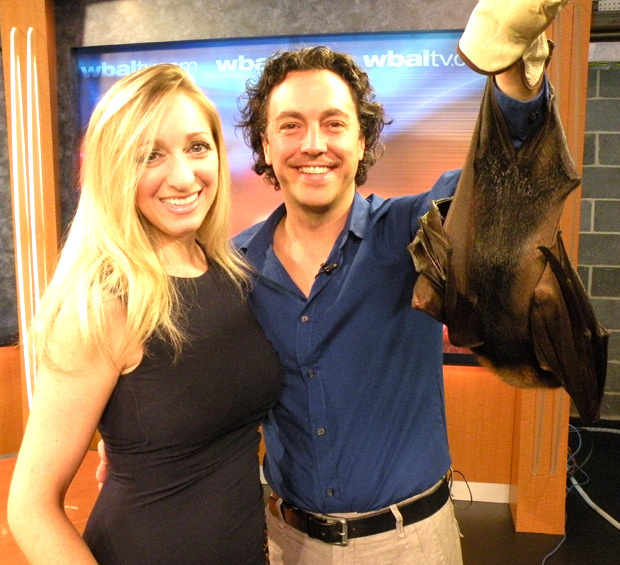 I stopped by WBAL on Sunday for my back to school segment and as I walked in, a bat scientist was on air with live bats. 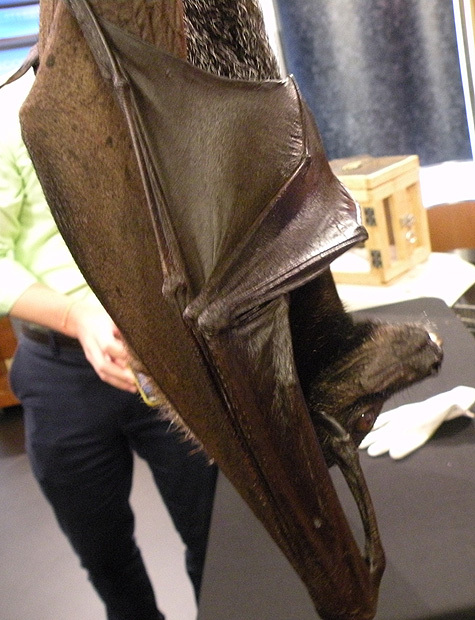 It was so cool…he had a Malayan Flying Fox which is the largest bat species in the world. I actually got to pet her back. Her fur was so soft, like a kitten with a beautiful dog face. Now I can cross that off of my list of things I want to do in my life…actually I didn’t realize I wanted to do that until I saw the bat. The bat is so cute. She was as soft as a kitten with a beautiful puppy face. Her little tougue is sticking out…very cute. She has a wingspan of about 5-1/2 feet. Such an amazing animal. 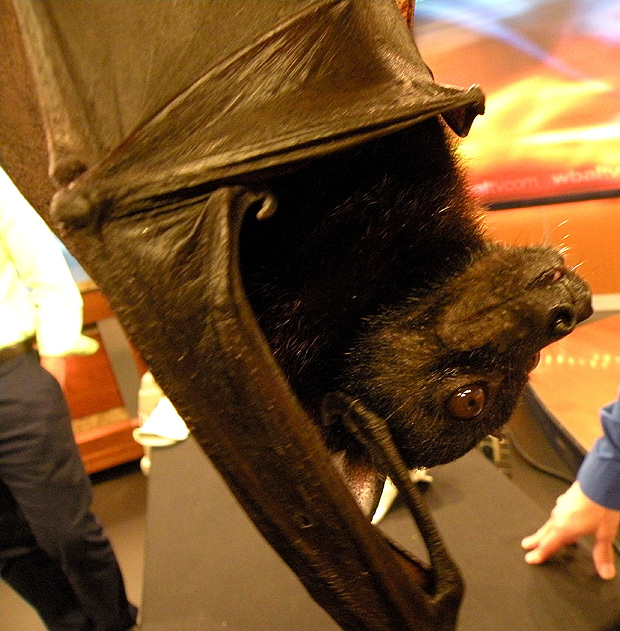 This entry was posted in Media and tagged bats, Fruit bat, Gina Tepper, rob mies, wbal. Bookmark the permalink.